Juliana Beasley was born in 1967 in Philadelphia, Pennsylvania, and began her photographic career as a printer for Annie Leibovitz, later freelancing for the village Voice, covering New York’s nightlife. Beasley’s style is intensely personal: she first became one with her subject when she immersed herself in the world of exotic dancing in the 90s. Not the shiny gentlemen’s clubs of the big city, but the honky-tonk, dollar-beer strip bars. She danced in clubs in four states, working with the girls, taking their pictures and chronicling their stories. The result was her book ‘Lapdancer’. 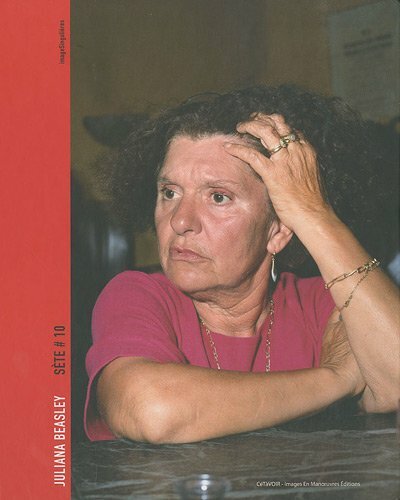 When she arrived in Sète, assigned to draw her own photographic portrait of the town Beasley landed in a totally unknown place – in every sense. In France in a very small city, a Mediterranean harbour miles away from the idea a young American photographer of NY’s nightlife could possibly have had of a rather different scene. What is Sète about?